Then I spied a spare ball of bright orange wool and one of vibrant green Rico Design Essentials Merino in my stash. 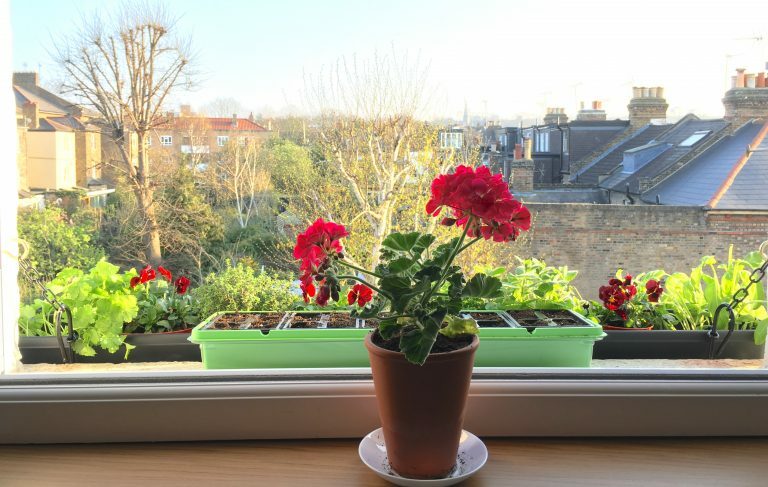 Now I love veg – as you can see from all the edible things in my window box. So I knew exactly what to make! 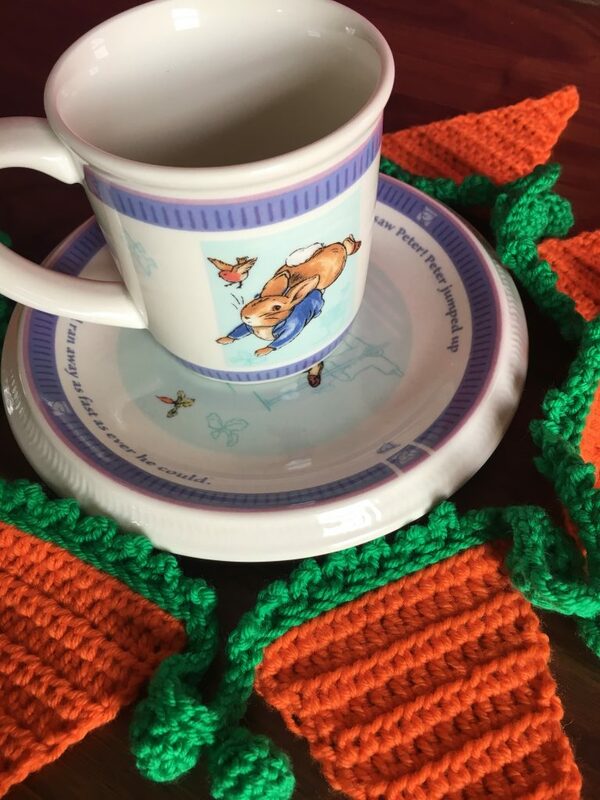 Carrot & pea bunting, which, together with a Peter Rabbit cup and plate, would be perfect as a christening present for my baby great-niece Francesca. I decided to start my bunting triangles from the bottom and work up, increasing on each row. The little triangles were so quick and easy to make.. I made seven, which only took half of the 50g ball. Next I made all the little peas – these are slightly more fiddly because they’re so small, but I soon had a ‘bunch’ of 14 peas. Up next was a long chain on which I placed markers to indicate where to position the bunting triangles. 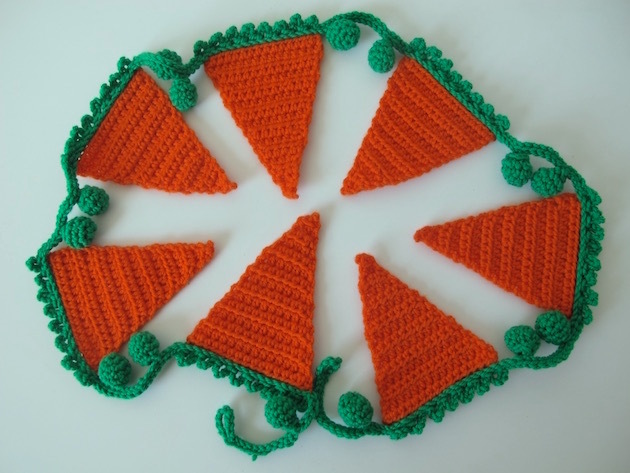 Leaving a loop to hang the bunting from, I slip stitched across to the first marker, then joined on a carrot triangle by crocheting it to the chain with a picot stitch. Once I’d attached all the triangles, I slip stitched to the end, adding another loop. 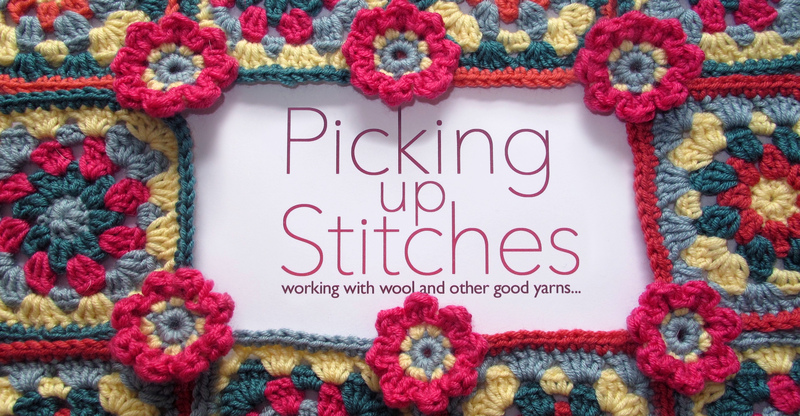 Now it was time for the finishing touch – adding the little peas, which were spaced out with one at either end and two between each two bunting triangles. 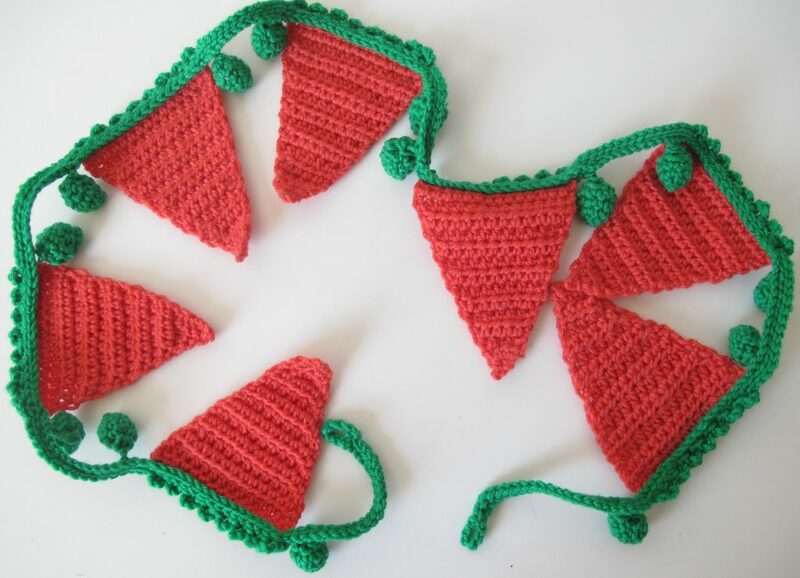 The pattern for this bunting can be found here.